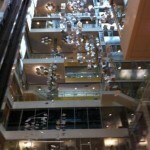 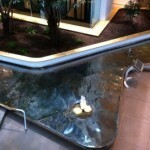 The fountain in the lobby at Genzyme. 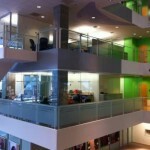 Photographs of Genzyme Headquarters at 500 Kendall Street, Cambridge, Massachusetts. 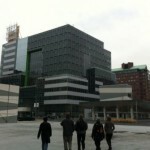 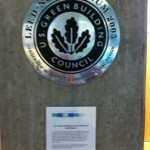 The UUA’s Green Initiatives Staff Team organized a visit and tour for UUA staff on February 15, 2012 of the Genzyme offices, which were certified LEED Platinum in 2005.